Late Shri Gulabchand Raichand Keshavji Shah | Oshwal Association of the U.K. It is with deep regret and profound sadness that we announce Gulabchand Shah, passed away peacefully, in hospital surrounded by his family in London. Son of Late Raichand Keshavji & Late Gomiben Raichand Shah. He was husband to Induben Shah. Beloved father to Meela, Nilesh and Samir. Father-in-law to Dilip and Dena. Loving grandfather to Poonam, Saajan, Saagar, Nikita and Selina. 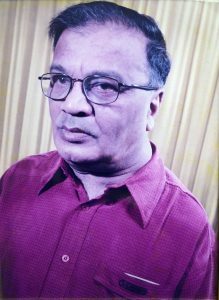 Brother to Late Manilabhai, Late Rameshbhai, Late Rariyatben, Kantaben, Ratilalbhai and Veljibhai.